Virgin Galactic’s VSS Unity took to the skies for the first time Sept. 8. This is the company’s first test flight since a 2014 accident killed a test pilot. The Sept. 8 flight test was a ‘captive carry’ flight, during which VSS Unity remained mated to the WhiteKnightTwo mothership (VMS Eve) for the entire flight from takeoff to landing. VSS Unity was piloted by Mark Stucky and Dave Mackay, while VMS Eve was flown by Mike Masucci and Todd Ericson along with flight test engineer Wes Persall. Throughout the entire 3 hour and 43 minute test flight, the flight crew as well our mission controllers and ground crews did the hard work of supporting a crewed test flight of a spaceflight system—great practice for our eventual flights to space. 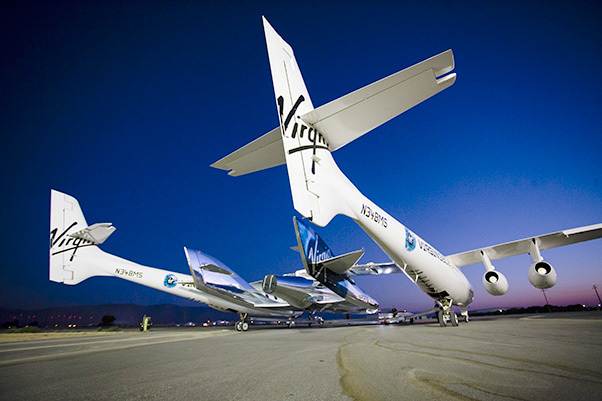 Virgin Mothership Eve (VMS Eve) mated to Virgin Spaceship Unity (VSS Unity) taxis out to runway before taken to the skies for the first captive carry. “With this flight in the books, our team will now analyze a mountain of flight data, learning what worked well and what could be improved for our next flight test,” said a Virgin Galactic spokesperson. 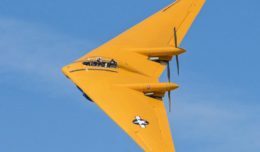 “Only when that analysis is done, along with detailed vehicle inspections, some already-planned work, and potentially more captive carry flights, will we be ready to move into the next phase of test flight.